Murgashwari, aged 33, lives in a village called Kallupati, Tamil Nadu. She has 2 daughters; Subhadra, aged 13 and Bhavitra, aged10. Murgashwari got married at the age of 19. She shared with the Women on Wings team which visited her work recently that she was very unsure as how life would turn out when she got married. As expected Murgashwari took on the responsibilities of the home and within the first year had her first child. Her responsibilities increased. Her parents had educated her till class 12; a positive aspect as most rural girls do not get the same opportunity. Her dream as a young girl was to become a teacher. Today her happiness, like all mothers, lies in the happiness of her daughters. She dreams of giving them the best education possible. Also Murgashwari dreams to own a house and move there with her family. Earning an income provides Murgashwari the financial sources to realize her dreams. She has been working at Women on Wings’ business partner ROPE International since 2010. She saw an advertisement in a local channel and responded to it. She is very happy in this job which brought so much positive change to her and her family. Murgashwari cannot think of doing anything else but making beautiful baskets from natural fibres. It makes her proud to know her ‘her baskets’ travel the world as they are being sold in international outlets of global retailers. With her earnings, Murgashwari is being able to save for her daughters’ education and the overall quality of life has improved. “Since working, I have developed confidence and gained self-esteem. I have full control over my earnings. My social interactions and bonding with fellow colleagues and others have deepened significantly. Today, I am proud to be able to also contribute to my village’s advancement”, shares Murgashwari with the Women on Wings team. Murgashwari has become an inspiration not only to her daughters but also to other women in her village. ROPE International empowers rural women with employable artisan skills. 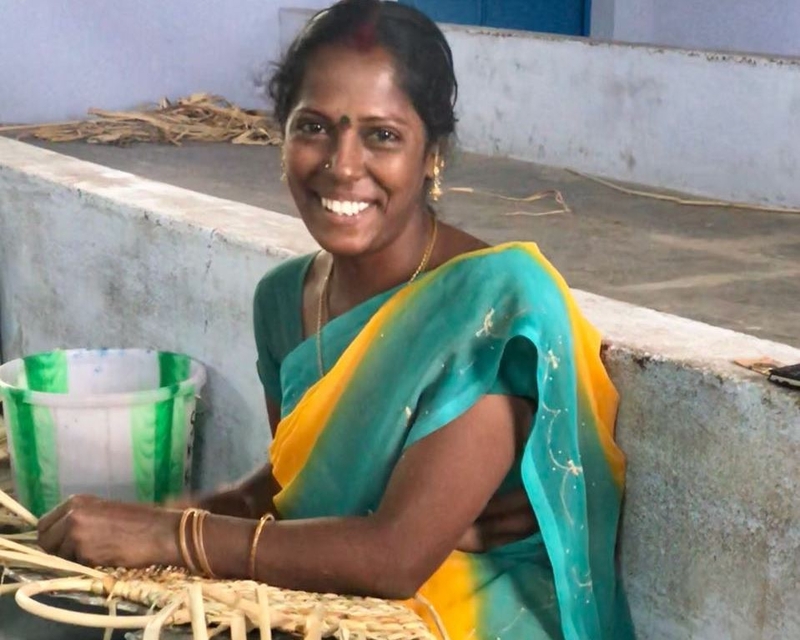 Women make home and lifestyle products from natural materials like bamboo, coconut shell and banana fibre that even find their ways to some of the biggest retailers in the world. Women on Wings and ROPE have joined hands to increase the number of jobs for women that find employment through ROPE and have been partners since October 2016. Recently expert Joost Theunis and Shashank Teotia, Sr. Business Consultant at Women on Wings, worked on ROPE’s gap analyses in processing and quality processes.